Designed for SMARTSLIDER REFLEX S.
Obtain precise and smooth movements regardless of the camera weight. Lift in vertical up to 14 kg. 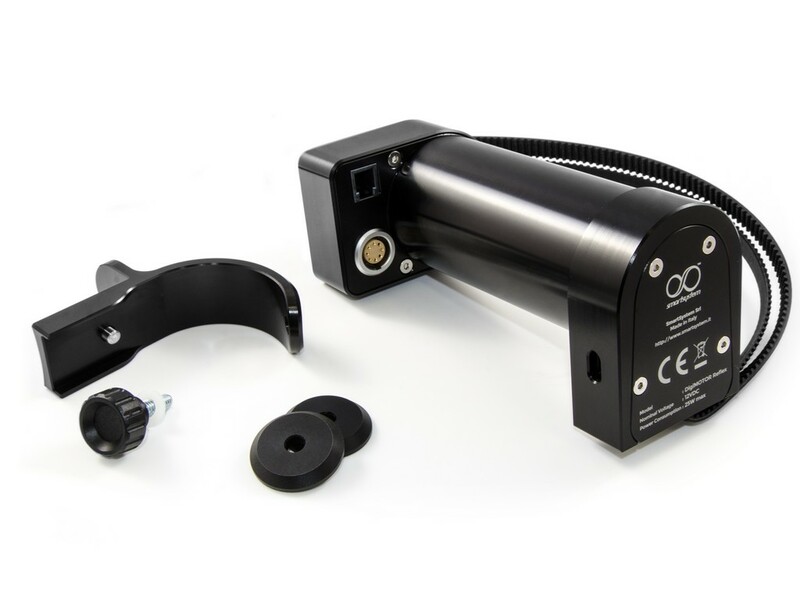 Ultra low noise industrial motor with high resolution digital encoder. Stop worrying about wrong start and stop in your motion. DIGIMOTOR REFLEX always guarantees the right smoothness not only at constant speed but also in start and stop movements. DIGIMOTOR REFLEX is especially designed to motorize every SMARTSLIDER REFLEX. An industrial motor (no stepper) inside a case milled from solid aluminum and a standard length belt… This is DIGIMOTOR REFLEX! Setting up DIGIMOTOR REFLEX is a piece of cake as shown in the video on the left. One single motor it’s more than enough! Why do you need two motors when you can do everything with a single one? Up to 14 kg… in vertical! DIGIMOTOR REFLEX is extremely powerful thanks to the usage of an industrial motor. In fact it’s capable to smoothly move up to 14kg of payload also in vertical without any twitch or vibration. The usage of an high-resolution encoder guarantees a positioning angular precision of 0.000073 degrees. This value corresponds, on every SMARTSLIDER REFLEX, to about 0.02 mm of linear positioning precision, a minimum speed of 0.08 mm/s. and a a maximum speed of 80 mm/s. Take advantage of DIGIMOTOR REFLEX to create amazing shot-move-shot variable speed timelapse controlling the shutter of your DSLR camera with DIGIDRIVE Portable mark-II. DIGIMOTOR REFLEX guarantees a perfect repeat-ability of every movement allowing every videomaker to over-impose one or more clips to easy create interesting special effects.